The guy below won $181 million in the lottery on Wednesday and then on Friday met the love of his life. Talk about good luck! Kathy and I celebrated our 30th wedding anniversary last week. Life has been busy lately but we were able to make a quick trip to Tahoe California to ski for 3 days. We needed to spend the night in Reno, Nevada on the way down. We stayed in a beautiful 5 star casino hotel for $32. I felt like I had won the lottery. You can’t get a campsite for $32 these days. 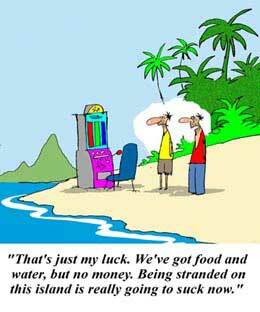 The casinos are not trying to make money on their rooms, they just want to get you into the hotel so they can get at your money in the casino. Of course I am not a good bet (pun intended) for them because I don’t gamble. I have never even been in a casino before. Like a sly drug dealer they kept on giving us casino chips every time we had a meal. I had no trouble at all taking them to the cashier and exchanging them for cash. I looked out over the casino at 7 AM on the way for coffee and saw nothing but lonely people sitting by themselves before the sun was even up, smoking, drinking and gambling their money away. No one looked like they were winning and no one was smiling. Later that day I entered the biggest pawn shop I have ever seen, right across the street from the casino, and saw lines ups of desperate looking people getting a few dollars for golf clubs, electronics and mostly jewelry – all so they could head back into the casino and lose that as well. There in the display cases were hundreds… no, thousands of wedding and engagement rings that people had pawned just so they could play for a few more hours. It may have been one of the most pathetic human conditions I have ever seen, primarily because it is self-inflicted. 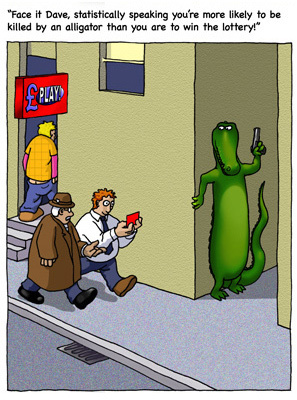 Frankly, gambling is the one vise I just don’t get at all. For the most part, almost nobody ever wins. The odds are ALWAYS stacked in favour of the house. All you have to do is look around and see the fountains, and the marble, and the chandeliers etc. and it does not take a rocket scientist to figure out whose money is paying for these things. For the life of me I cannot understand the appeal of losing all my money in a game of chance where the odds are clearly against me. Yet, gambling has become a huge societal problem that is no longer restricted to Nevada. Native bands are building casinos ‘to beat the band’, so to speak… on the reserves all over North America. In the old days it used to be the mob that owned all the casinos in Las Vegas. Today it is governments of all levels that are by far the biggest gambling proprietors of all. Winnipeg has 2 government owned casinos. Then there are the lotteries. All provinces in Canada and states in the US have government sponsored lotteries that bring millions into their coffers. I indelicately refer to the lottery as “the tax on the stupid”. You have a better chance of getting struck by lightning than winning, yet every week the majority of Canadians will contribute at least a few dollars to the cause. In Canada governments have a net profit of $6.5B off their various gambling operations. Two thirds of Canadians (over 20 million adults) gamble in one form or another. 1.2 million are classified as seriously addicted. These are people who gamble away their rent money, car payments, or even grocery money for their children. We had a musician on our worship team at the church that asked if he could borrow our bass guitar to practice at home. After 2 months of asking him to return the guitar we confronted him, and sure enough he had pawned the church’s guitar and gambled away the money. Wow, nothing like stealing from God to feed you gambling habit. This is easily one of the biggest addiction problems in our culture… and the governments are the bookies or pimps or pushers or whatever you want to call them… and they know it. Manitoba Lotteries gives $2.6 million to the Addiction Foundations of Manitoba. 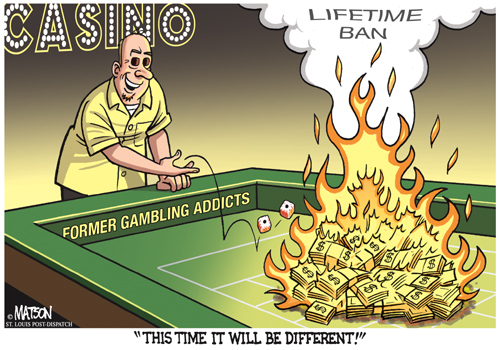 No one is more addicted to gambling than governments. They have become intoxicated on the revenues and like the Las Vegas mob of the past have developed an insatiable appetite to ensnare you and con you out of your money. I cannot see a good ending to this story. 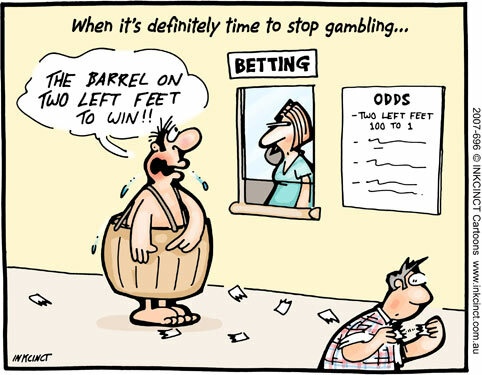 It is one thing for the individual to bet the farm, but by making their financial future dependent on gambling, governments themselves are betting the farm.